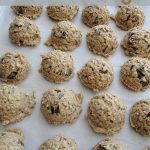 How to Freeze Cookie Dough - MOMables® - Good Food. Plan on it! 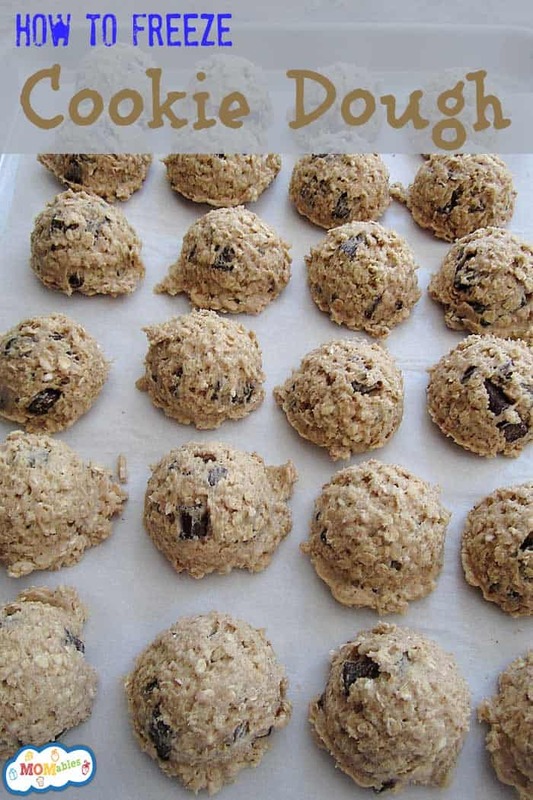 How to Freeze Cookie Dough - MOMables® - Good Food. Plan on it! Have you ever tried to freeze cookie dough? 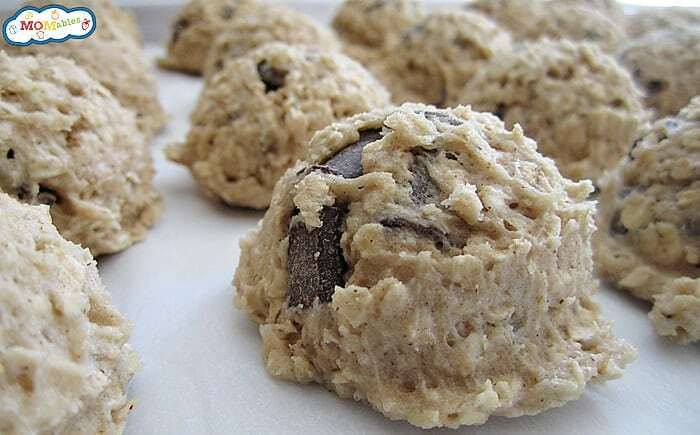 There are two ways you can freeze cookie dough. You can freeze it in a log, or by individual cookie—it’s up to your preference! Why freeze cookie dough, you say? So that you can have it handy when you want to bake a dozen or just four, to insert as a treat inside the lunch box. 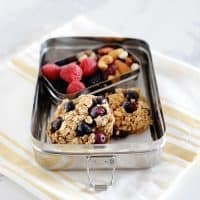 If you need lunch box ideas, click here. I usually keep frozen cookie dough in my freezer at all times. My family loves cookies, and we probably make them too often. 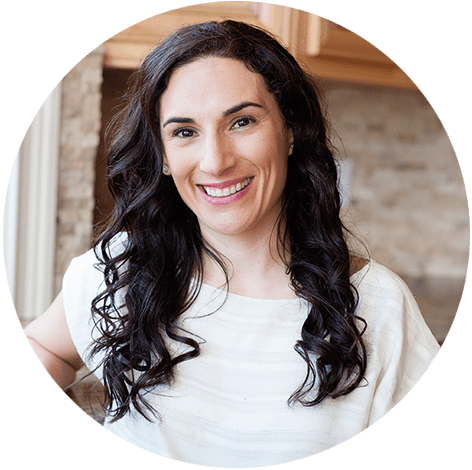 MOMables has a ton of helpful and insightful tips and recipes! You have to check it out! The easiest way to curb myself from eating five at a time is if I freeze the cookie dough. That way, I pull out only a few cookies and bake them on the spot, instead of baking the entire batch in one sitting. It also means if we ever want a dessert after dinner, there are always cookies ready in the freezer!! I also love that I can bake them straight from the freezer. There is no need to let them sit out overnight and defrost. Just plop them on a baking sheet lined with parchment paper and bake! When you are ready to bake your frozen cookie dough, just add 2 to 3 minutes to the baking time, and you’ll be all set! After mixing together the cookie dough, drop heaping spoonfuls on a large piece of plastic wrap or parchment paper in a line. Use the plastic wrap or parchment paper to shape the cookie dough into a log. Twist the ends of the plastic wrap or parchment paper, and place it on the baking sheet. Flash freeze the cookie dough log for at least 1 hour. Place the log in a freezer-safe container or bag. When you’re ready to bake, take out the log, slice the cookies, and bake as directed. Put the baking sheet in the freezer until the cookies are completely frozen. Place the frozen cookies in a freezer-safe bag or container. When you’re ready to bake, take out as many cookies as desired, and bake as directed. 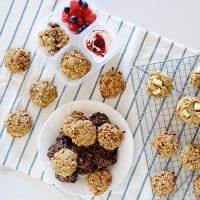 Add 2 to 3 minutes of baking time when baking freezer cookies. Frozen cookie dough can be stored in the freezer for up to 3 months. We do this all the time, but also we use egg replacer instead of eggs in the batter so we can just eat the frozen cookie dough (sometimes dipped in chocolate).